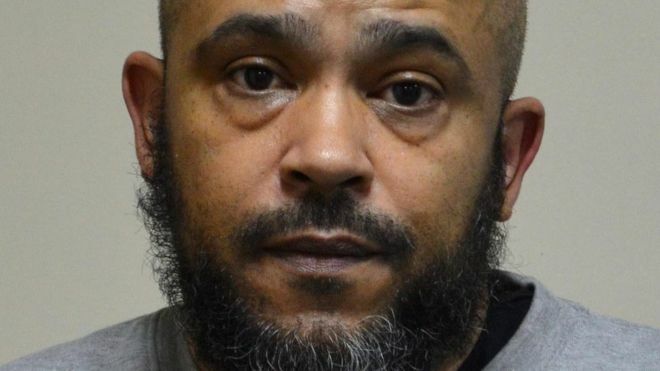 “A father-of-four who posted homemade videos on YouTube glorifying the Islamic State group has been jailed for three years. Gary Staples, of South Norwood, south London, also uploaded clips to Google Plus, the Old Bailey heard. The 50-year-old was found guilty of seven counts of encouraging terrorism and one count of disseminating a terrorist publication last month. His clips showed armed IS fighters and Osama Bin Laden. Staples’ Google Plus account had 1,180 followers, while his YouTube account had 67 subscribers, the court heard. “A father-of-four who posted homemade films glorifying the Islamic State group online has been convicted of encouraging terrorism. Gary Staples, of Crowther Road in South Norwood, London, uploaded the clips on YouTube and Google Plus between May and September 2016, the Old Bailey heard. The 50-year-old was found guilty of seven counts of encouraging terrorism and one count of disseminating a terrorist publication. He will be sentenced on 27 February. The jury heard Staples created eight of the videos that he posted, while another was made by the media arm of IS, Al Hayat. One video featured an image of Tony Blair with flames imposed over it while armed IS fighters, the leader of IS Abu Bakr al-Baghdadi, and Osama Bin Laden also featured in other clips. The jury heard his Google Plus account had 1,180 followers while his YouTube account had 67 subscribers. Prosecutor Ben Lloyd told the court Staples’ “purpose in publishing and disseminating each of these videos… is to encourage members of the public to commit, prepare or instigate acts of terrorism”. Giving evidence, Staples told the court he had posted the Tony Blair video but claimed two friends must have been responsible for the others. Staples, who had denied all charges, was cleared of one other count of encouraging terrorism and remanded in custody ahead of sentencing. Cdr Dean Haydon, from the Met Police, said: “Staples was clearly publishing and sharing extremist and terrorist content, with a view to encouraging others to engage with and carry out acts of terrorism.